Orthodontics is a branch of dentistry that deals with the positioning of jaws and teeth properly, which may be distorted by over or under bites, or for crowded teeth. Orthodontists are the specialist in this field that primarily focus on facial growth and dental development. 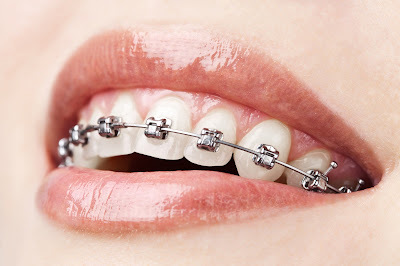 Braces – It is comprised of bands, wires and/or brackets. The wires are passed through the brackets and attached to the bands to form an arc over the teeth. Tightening the arch wire puts tension on the teeth, gradually aligning them. Aligners – They are removable, similar to braces without metal wires and brackets. Aligners are virtually invisible and it is an alternative for braces. Palatal expander - A plastic plate fits over the roof of the mouth. It is used to widen the arch of the upper jaw. Removable retainers - worn on the roof of the mouth, these devices prevent shifting of the teeth to their previous position. actually thank u for your post and very useful for me your post..
Tooth Saviours Dental Clinic is Best Dental Clinic In Vaishali Nagar,chitrakoot Jaipur.Clinic Offer services like Root Canals,Oral Surgery,Whitening,Orthodentic,Implant and Dental Checkups in Jaipur. Udaipur,Kota and Ajmer than Please Have A CAll- +91-8426833930.You Are At Right Digital Consultant in jaipur. teeth straightening in Bikaner - If your teeth are not in shape or at right position and looking for a dental hospital in Bikaner then you can come to Dencity dental Clinic. You will get best consulting and treatment for your teeth at affordable price.